Bullitt. Cool Hand Luke. Mission: Impossible. Enter The Dragon. Planet Of The Apes. The common thread between these and dozens others: Lalo Schifrin. There’s a sound you know well from late 60’s-early 80’s action and suspense flicks and shows, often heard during chase scenes. See if you can’t get with what I’m talking about. It goes buuda-chiga budda-chiga budda-chiga on the bass and drum, sometimes with a little wah wah on the guitar and some toots from a flute or two. It’s what you hear when Starsky is running down a perp or Dirty Harry about to spring a trap in a dark alleyway. Whenever you hear that, you’re hearing Lalo or some Lalo substitute. His influence on soundtracks was massive, ubiquitous, and universal. The Bullitt soundrack is particularly recommendable for driving, as it will increase the excitement and fun you’re having behind the wheel by about 110%. Mission: Impossible has to have one of the most recognizable and electrifying tunes conceivable. From the point in the credits when the fuse is lit to that inevitable end, the scene for adventure is set so brilliantly that the show was usually a letdown after that. The theme is the show to the degree that the movie revival threw out the old cast of characters immediately, yet is still Mission: Impossible. Take away that theme, however, and you could be watching anything. Maybe Man From Uncle. Lalo did that score, too. Enter The Dragon might be the most remarkable of the bunch. Lalo is (notice that’s “is” instead of “was,” because he’s still working now into his 70’s) masterful at capturing exactly what the movie is, to the point that the music is like a character in the story. Bruce Lee intended Dragon to be the ultimate East meets West experience, for the Orient to clash with Hollywood and end up in a genre mash-up before anyone called it that. The cultural mixing of instruments in that thing is way out of sight, and it all swirls together seemingly effortlessly. 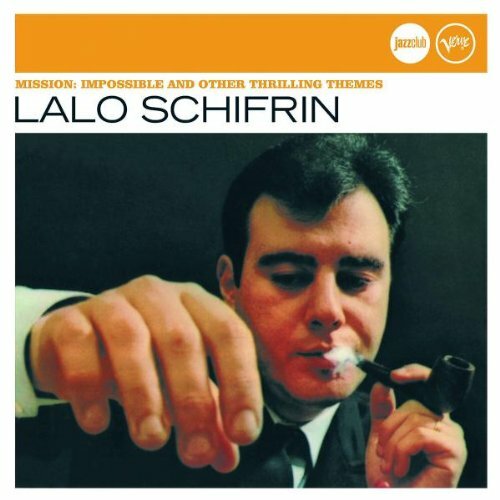 Lalo Schifrin is one of those characters that you discover only after he’s been under your nose your entire life. Delving into his catalog is like putting on a much needed pair of spectacles for the first time.